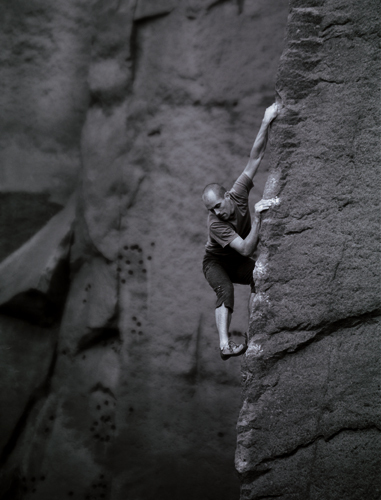 5 Great gritstone climbing photos to shoot from the ground. 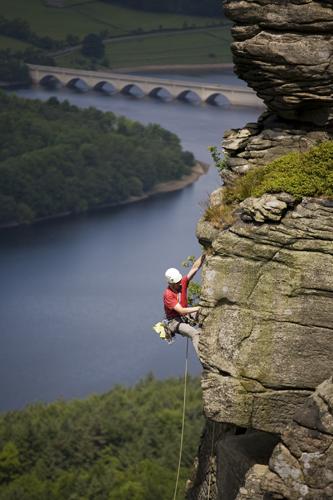 Great climbing photos draw together a number of different elements such as composition, landscape, weather and lighting. Getting into a good position above and to the side of the climber is one suggestion that typically makes climbing photography a highly technical endeavour and prevents budding photographers from realising their vision. If you’re not confident in your roped access skills bear in mind there are also plenty of great climbing shots that don’t involve rigging. Sometimes the best shots can be taken from the ground and these climbing photos are always worth seeking out. There are tons of ideas in the climbing media, so look at the all the climbing images you can find and start compiling your own lists of routes and positions to go photograph throughout the year. It could kick-start your climbing year and give you projects and ideas to carry you through the motivational low points. Let me start you off with five climbs that can yield great imagery when you pull together all the right elements. 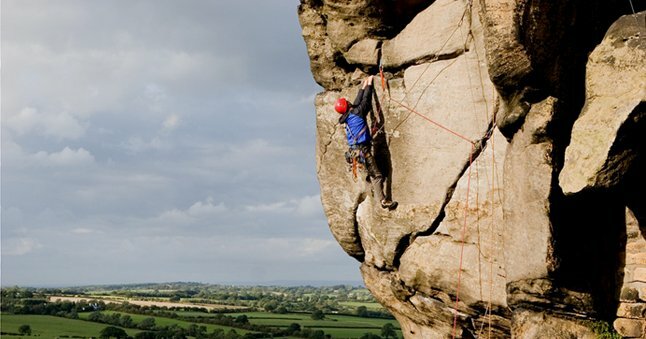 I’d love to hear and see your ideas for geat climbing photo ground-shots on gritstone, so please leave a reply below. In the meantime I’ll leave you with some recent efforts on these routes from our image library, and hope you enjoy. Great photos – you make this look almost too easy.